Pat Meehan, Jr., with his brother, Tim, and his sister, Bridget, literally grew up in the label business. Meehan’s earliest memory of the label business goes back to when he was only 10 years old, and was recruited by his father, Pat Meehan, Sr., to assemble kits for a customer who wanted 14 different labels in each pack. The elder Meehan started MR Label as a print jobber from his home in Cincinnati, Ohio, in 1975. (MR, in this case, does not mean Mister. The M stands for Meehan, and the R for a potential partner who opted out at the last minute when the company was formed.) At first, MR Label had no presses, and jobbed out to various label printers any orders that Meehan landed. But finding that customers preferred direct contact with the businesses printing their labels, Meehan installed a single-color flexographic press in rented space behind a bar in the early 1980s. His first installation included a screen press, and ever since MR Label has offered labels printed with either process. The business soon outgrew the space behind the bar, and in the mid-80s moved to a vintage building built in the late 1800s. In 1990, Pat Meehan, Jr., graduated from college and joined the company full time. Pat Meehan, Sr., retired in 2007, joining his wife, who had retired earlier. Today, MR Label employs 20 people in a 20,000 square foot building housing what remains a family business. 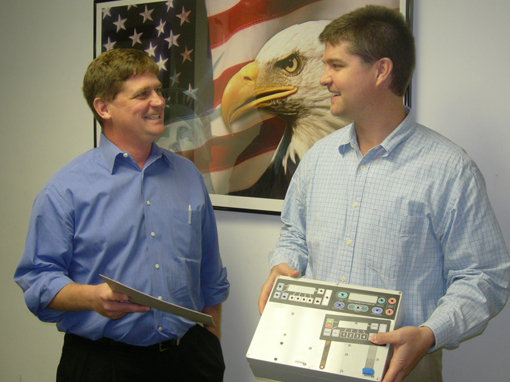 The company produces approximately $5 million in annual sales with a one-shift operation. MR Label has one inside salesman and two outside sales representatives, who make a good portion of total sales to other, primarily offset, printers. Most customers are within two hours drive of Cincinnati. Label Traxx is used throughout the MR Label plant. Four workstations are available to press operators, and virtually every office worker has one. Says Meehan: We take inventory here four times each year. Before we installed Label Traxx, it took six people a day or more to do the job. Now, one person can do the entire inventory in less than a day. And, it is far more accurate. Meehan’s tendency to push the technological envelope recently came to the fore when he went digital by installing a Jetrion to bridge his screen and flexo printing operations and respond to market demands for shorter runs and quicker turnaround. When the digital press was installed, Meehan quickly found that Label Traxx supported digital printing—a feature that was added as more and more flexo printers began embracing digital for short run, quick turnaround jobs.